You can access this section by clicking Useful links, in the Welcome screen. 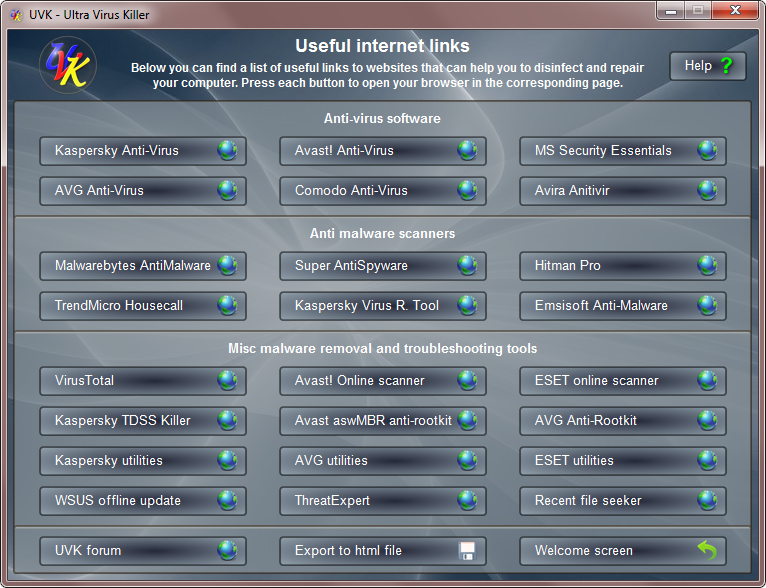 This section gives you lots of links to websites that can help you to disinfect your computer. Just click the desired button and UVK will open your browser in the corresponding internet page. Click Export ot html file if you want to export all the links to an html file in your hard drive. You will be prompted to choose the path where you want to save the html file. Click Welcome screen to go back to the main menu.